French progressive industrial metallers GOJIRA have essentially bestowed a live album upon their fans in the form of a film. The band has made their 15 song, one hour and 16 minute set from Pol’And’Rock Festival 2018 available for streaming. The high quality performance video was mixed by Raphaël Bovey at MyRoom Studio, edited by Bryce Hall, and its full track list is included below. There, you will find last year’s set represents material from every album release from GOJIRA – except ‘The Link’ for some reason – and especially draws heavily from their most recent release, ‘Magma’. 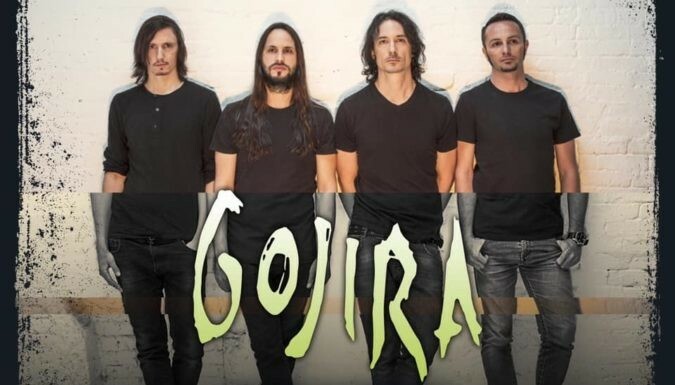 In news related to GOJIRA live appearances, in June the band will team up with Deafheaven for a handful of dates in North Carolina (U.S.) as both make their way to appear at this year’s Bonnaroo Music And Arts Festival in Tennessee. Two of those dates will see the pair joined by heavy psych/blues rock band All Them Witches; you can find all four confirmed stops shared below also.